Best and Final Simpson, Vulfix. Hope everything is ok with all. Simpson Polo 8 Super purchased about 2 months ago. No problems what so ever with it. Super soft tips and very nice performance. Includes the original box. I put a bit of nail polisher in the Simpson sticker in order to preserve it. Cost to me was $192.00 yours for $140.00 $120.00 Best and final price $100.00 shipped using USPS Priority inside the US. Outside the US pm me because price may change 100 to shipping cost. Only owner. Vulfix 41 Silvertip purchase for about 3 months ago. Includes original box. 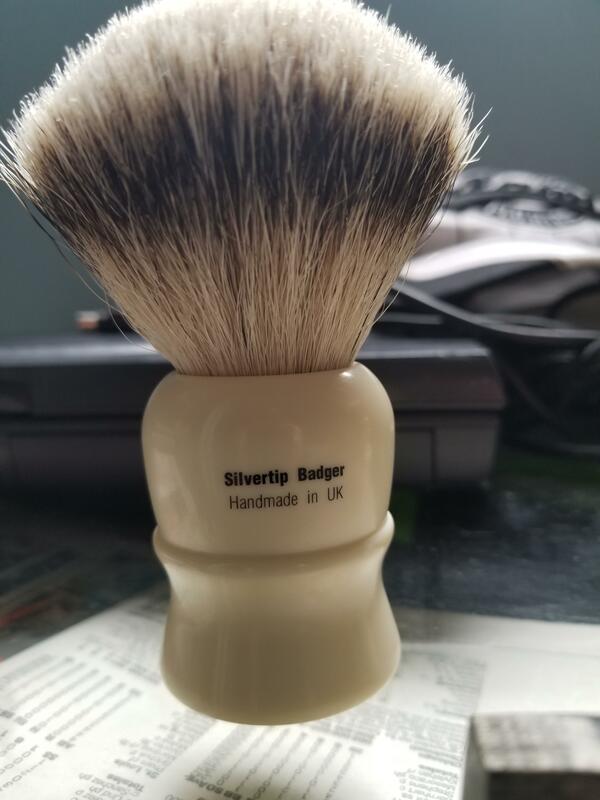 Same exact hair as the Simpson's super badger in my opinion. Veryh soft tips no issues or problems with it. Cost me $179.00 yours $120.00 Best and final 90.00 shipped using USPS Priority to all US. Outside the US pm me, price may change due to shipping cost. Only owner. 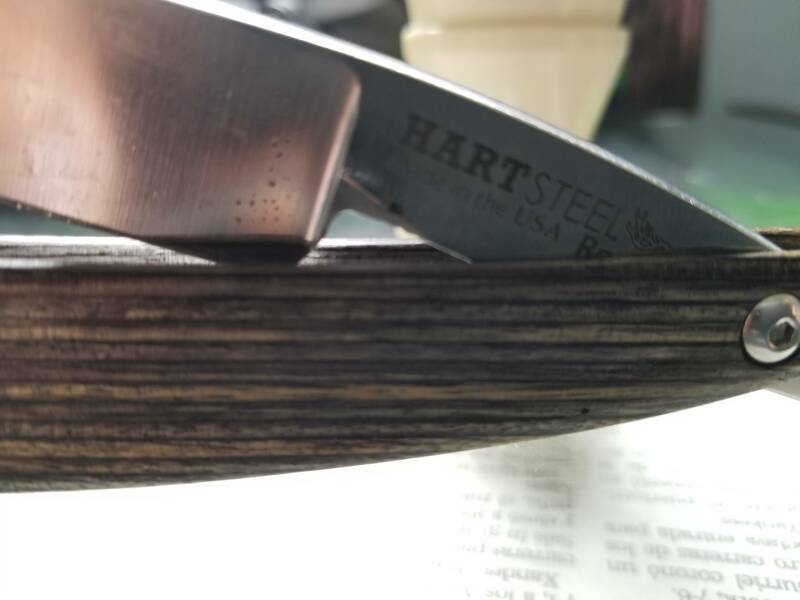 SOLD Hart Steel straight razor 6/8 square point. 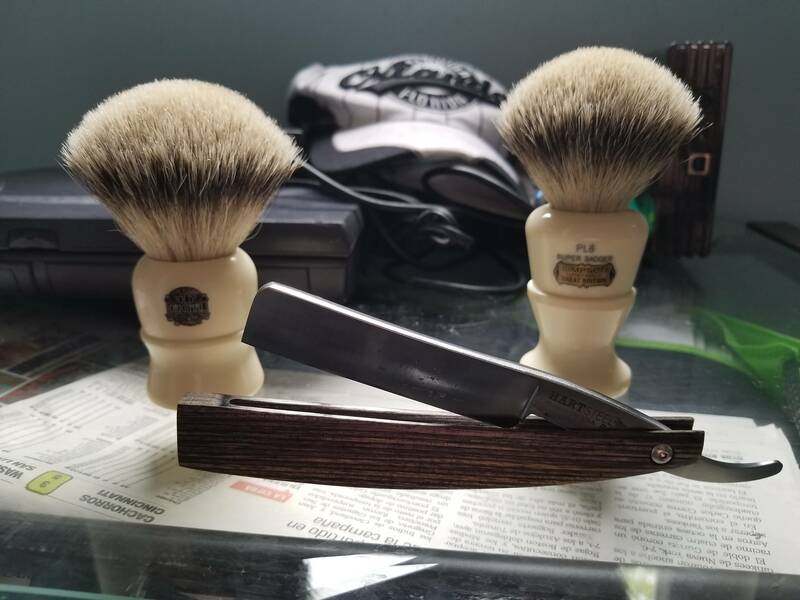 Awesome shaves wegde grind. Includes the original black plastic scales plus an upgrade set of scales named salt and peppa. Close centered shaves awesome includes original box with little Allen key. 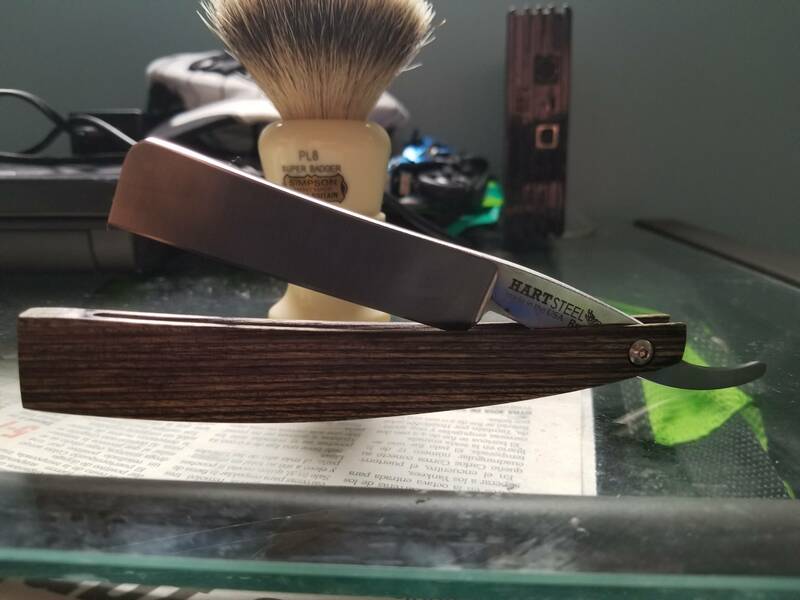 The only detail is that the razor has 2 sections in where has a little rust. In the tang a very little spot and the other one not seen in the pivot area some spots. Those spots came when purchased new. 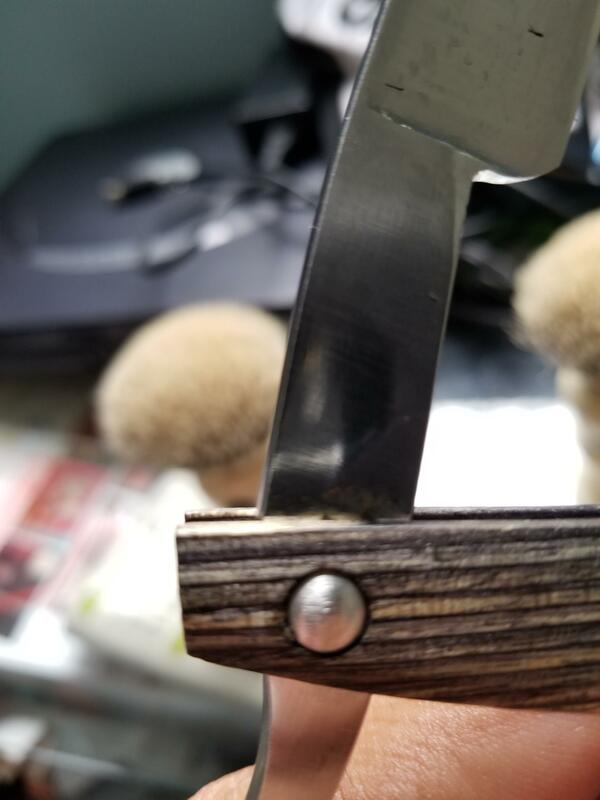 Little spots in the blade are from ballistol that i use. 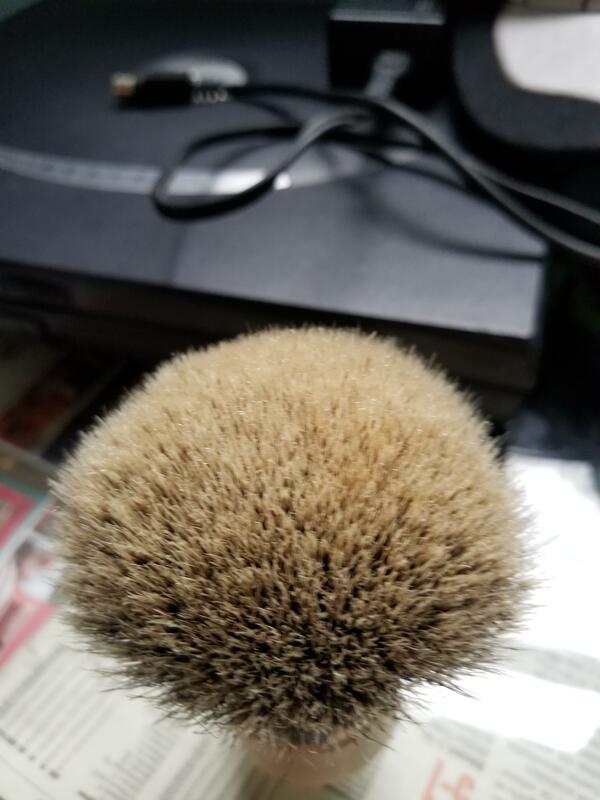 After you take it off is very shine razor. Mirror look in my opinion. Only owner. The tap of box is a bit turn but nothing that affect the razor. Shave ready, treated with naniwas 1k chosera, 3k, 8k, 12k and Suehiro 20k. After i go it from the vendor. 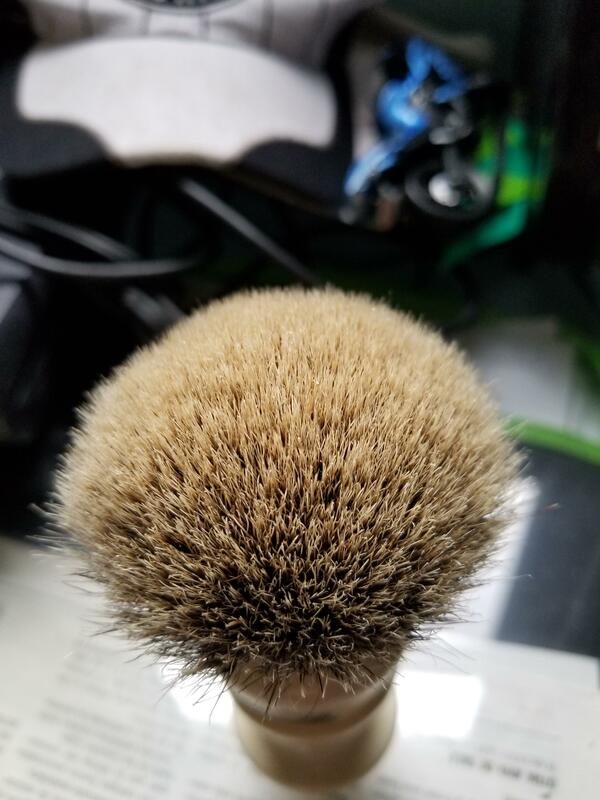 I re honed since i belive was not shave ready to my standards. Cost me $200.00 plus the scales $25.00. Yours $100.00 Best and final $75.00 shipped using USPS Priority outside the US pm me price may change due to shipping cost. The Vulfix looks like it is floating in mid-air in the third shot. Good one. Is in top of a glass. I want it, but don't have the money... You can't get a sale off of Ebay? (10-19-2017, 11:02 AM)asiliski Wrote: I want it, but don't have the money... You can't get a sale off of Ebay? For the moment I prefer the nook.